We often get asked if double glazing will stop condensation forming on windows, the answer is not entirely straight forward. Condensation on windows is a problem in lots of Peterborough properties. A small amount of condensation is not too much to worry about, however unchecked, this build-up of moisture can lead to the formation of black mould. This mould releases bacteria which is linked to health concerns such as asthma and breathing problems. 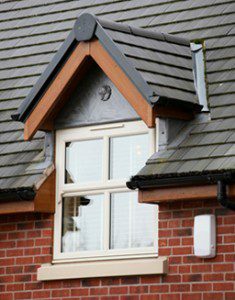 Double glazing can be part of the solution as long as it is correctly installed, otherwise it could be part of the problem. Why does condensation form in windows? When warm, moist air meets surfaces which are cooler than its dew point temperature then condensation occurs. This refers to the point on which the water vapour in the air becomes more concentrated, droplets are then formed, resulting in condensation. This is why single glazed windows are more prone to condensation during the autumn and winter months. 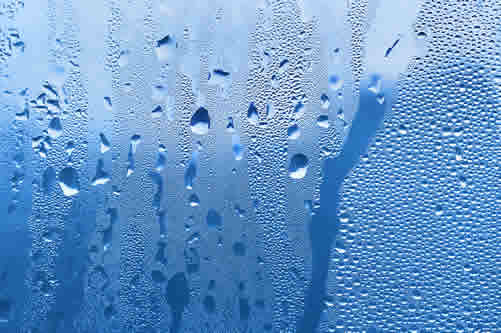 How does double glazing and triple glazing reduce condensation? This is why our energy efficient double glazed windows or triple-glazing becomes a major part of the solution. Double glazing provides two pieces of glass which create a space between the cold air outside (winter day) and the warm air (inside home). This results is two effects, the air inside the home remains warmer allowing it to hold more water vapour. Secondly the pane of glass inside your property is also warmer due to the protection from the cold air outside your property, which is held against the outer layer of glass. Therefore the inner layer of glass is likely to remain above the dew point except on an extremely cold day. This is why you could see two identical properties in a street, one with single glazed windows with condensation streaming down the windows, while the other with double glazing having little or no condensation at all. 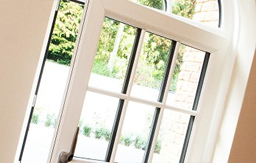 The main reason for double glazing is to keep the warm air inside of your home, reducing your overall heating bills. This is achieved via energy efficient glazed units which provide a more effective seal, preventing warm air from dispensing out or cold air leaking in. 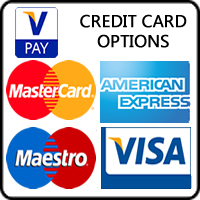 This means that while you creating moisture within your home, this moisture needs to be correctly removed via ventilation. Cooking and washing are the main contributes to high levels of moisture in your home and you need to let it out. There are various ways to ventilate your room whether it’s via extractor fans or as simple as opening a small window such as bathroom window. However, if this fails you may consider our window trickle vent system. Our double glazing also comes with trickle vents, which proves a perfect solution to control a consistent and low level of air-flow within your property. These triple vents brings fresh air into your home while removing stale moisture filled air out of your home. This is why we our one of the leading double glazing installer in Peterborough, as we will raise any issues during our surveyors inspection.